FIGURE 5-21: Monthly energy from wind turbines A and B for previous wind-distribution curve. As indicated, a lower-rated speed implies a higher energy yield. 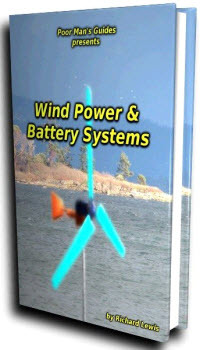 If, for example, in the case just illustrated, all characteristics were the same, and wind turbine C is added to the comparison with a rated wind speed equal to the average wind velocity, which in this case is about 13 mph (value at 360 hours), the yield would be considerably greater. Wind turbine A is about 6 feet in diameter, wind turbine B is about 12 feet in diameter while wind turbine C is about 20 feet in diameter. 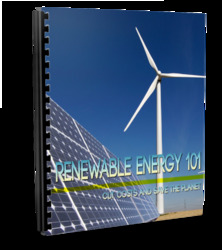 You can expect the initial cost per kilowatt of rated povs-to increase with decreasing rated wind speed; at the same time yield (kWh) will increase, unless your wind distribution shows a considerable number of hours with wind speeds greater than 20 mo* For this reason, you need to know more than price and power rating. As you can see, rated wind speed is a valuable tool in wind turbine comparison. The numbers in the rignt coiui>in are then plotted to make a cur -e similar to t»iat in Figure 5-20.